Alonzo Mourning is a Hall of Famer for a reason. After playing at Georgetown he played 15 seasons in the NBA. Zo was known for being a tenacious defender and shot blocker. He took home defensive player of the year twice in consecutive seasons. Guys who played against Zo cherished any easy buckets they could get. Wikipedia highlights his defensive prowess nicely. 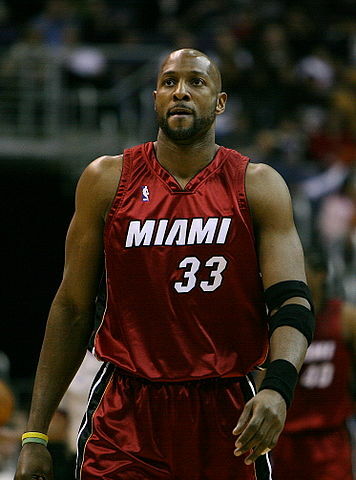 Alonzo Mourning averaged the most blocks in NBA history per 48 minutes with 5.46. Blocks became recognized in the 1973-74 season. Mourning dealt with hardship throughout his career too. Before the 2000-01 season he was diagnosed with focal segmental glomerulosclerosis. Eventually he got a kidney transplant from a cousin in 2003.